Official cars are some of the most visible symbols of any government and these cars are chosen to give a sense of power, strength, and professionalism at home and sometimes to convey a country’s national identity. For us ordinary folk, who would like to drive like a president on a citizen’s salary, take inspiration from the cars of heads of states like Barrack Obama’s Cadillac to François Hollande’s Citroen hybrid to find the car to make your feel like a president! 1. BMW 7 Series - The BMW 7 Series has been part of fleets of South Africa, Australia, Austria, Bulgaria, Croatia, Denmark, Dominican Republic, Egypt, Germany, India, Ireland, Malaysia, Mauritius, New Zealand, Norway, Slovakia, Slovenia, South Korea, Sri Lanka, Sweden, Thailand and Vietnam. The BMW 7 Series is known for both its comfort and agility for the driver and its technological advancements. The vehicle boasts Laserlights that beam almost twice as far as conventional headlights, Touch Command with a 7” display tablet integrated into the armrest, Gesture Control which means certain functions can be performed by means of defined hand movements, as well as remote control parking and wireless charging. The President of South Africa is driven in an armoured BMW 7 Series or on occasion a Mercedes-Benz S-Class. 2. Mercedes-Benz S-Class - The well renowned Mercedes-Benz S-Class has been part of the state official vehicles for Austria, Denmark, Egypt, Germany, Ireland, Kuwait, Lithuania, Macedonia, Malaysia, Morocco, the Netherlands, Romania, Russia, Serbia, Slovakia, South Africa, Spain, Sri Lanka, Turkey, Ukraine, Uzbekistan and the Vatican. The Mercedes-Benz S-Class has been the go-to luxury car for decades, as the S-Class mixes elegance and sportiness to make a vehicle that breathes class at every angle. Technologies include the Magic Body Control which reads the road ahead, massaging seat options, and driving and parking assistants. 3. Audi A8 - The distinguished Audi A8 is the chosen car of the governments of Austria, Bulgaria, Denmark, Egypt, Estonia, Germany, Hungary, Israel, Luxembourg, Montenegro, the Netherlands, Norway, Poland, Slovakia, Slovenia, Spain, and Taiwan. The Audi A8 seemed to have snuck up on the luxury car game and sped into the hearts of buyers. The A8 is well equipped, has efficient diesel options and boast 360 degree cameras, multi-media interface with touchpad and handwriting recognition and GPS navigation with 3D computer graphics with Google Earth. 1. Cadillac - The President of the United States uses a custom-built Cadillac. The doors of this car are reinforced, its tyres are protected by Kevlar, it has a V8 engine, can shoot tear gas and it has its own supply of oxygen to withstand chemical attacks. The current Cadillac in use was built upon a medium-duty truck platform. The new model, from unofficial snapshots of the 2017 model in transport, show that the vehicle has the same grille and headlamp design as contemporary models. For the ordinary citizen without a custom built car, the closest match would most likely be the new 2017 Cadillac CT6 Sedan (not available in South Africa) which combines advanced technology with breath-taking design and precise craftsmanship, featuring a 3.0L V6 twin turbo engine, wireless phone charging, rear-seat infotainment system and more. 2. 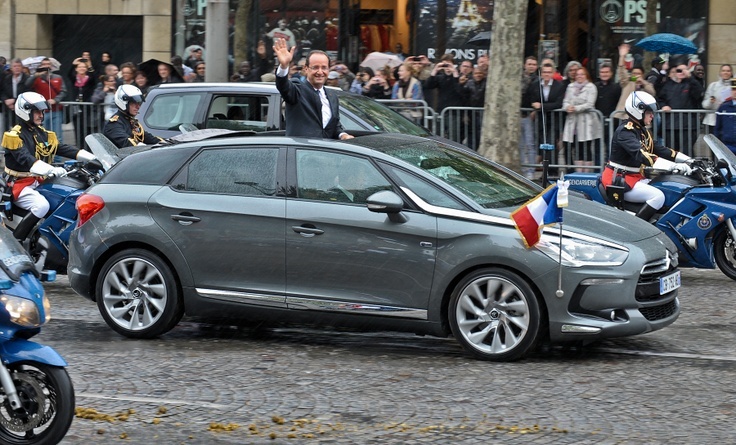 Citroën - François Hollande of France uses a Citroën DS5 Hybrid4 Landaulet. The DS5 is a compact executive car designed and developed by the French automaker Citroën, and its diesel-electric Hybrid4 marries a 163 hp 2.0 HDi diesel engine with a 37 hp (28 kW) electric motor mounted on the rear axle and sends the power to all four wheels as it is needed. 3. Volkswagen - José Alberto "Pepe" Mujica Cordano was the 40th President of Uruguay between 2010 and 2015. His vehicle of choice was a 1987 blue VW Beetle. He even refused an offer of $1 million to buy it. 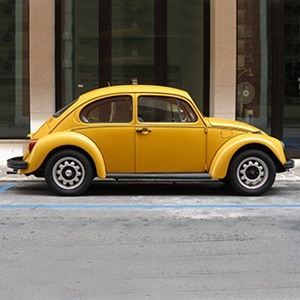 With a top speed of +-130km/h a Volkswagen Beetle is a classic choice. Whether you are looking to drive like a president or simply as an ordinary citizen, you can find what you are looking for on AutoTrader. AutoTrader South Africa has been the leading media market space for the past 24 years for buying and selling vehicles. Whether you are looking to buy a brand new car or are on the market for a pre-loved model, AutoTrader has over 65 000 cars to choose from and is guaranteed to suit your tastes and needs. Find your perfect car on AutoTrader. Often safety is directly related to purchase price, but some manufacturers successfully design and build safe yet affordable cars. One such example is the Honda Amaze. It was a rollercoaster year for car sales in 2018. With new models replacing older ones, interesting concepts introduced, and old legends redesigned, the world was treated to an exciting year filled with fast cars.